In April of 2017, Life Springs Church transitioned to Parresia Ministries (of which Unveiling Jesus is also a ministry). Following are messages shared at Life Springs Church in Birmingham, AL, over the course of its 5 year history. Also, click here for grace Bible studies held at Life Springs Church. "Righteousness." Watch VIDEO here. Listen to AUDIO here. Session 1 - Righteousness - what did Jesus accomplish for us? Watch video here. Listen to audio here. (complete scripture lists included in links to video and audio) Description of this teaching: What happened at the cross? What did Jesus accomplish for us? Jesus became sin so that we could be made righteousness through Him. Today we are as Jesus is in this world. We are blameless and faultless as we stand before the Father because the blood of Jesus has taken away our sin. If we are the center of our theology, we need repentance - a change of mind. The Gospel is not about our performance, our love for God, or our serving God. The Gospel is that Jesus knew you, Jesus loved you, Jesus came as you, Jesus died as you, Jesus rose as you so you can be as He is - in perfect union with God. The Gospel is all about Jesus! "Rest." Watch VIDEO here. Listen to AUDIO here. Session 2: Rest - how does knowing we are righteous affect our lives? Audio is available here. Video is available here. (complete scripture lists included in links to video and audio) Description of this teaching: Spiritual Rest is the greatest result of the revelation of grace. It comes by beholding Jesus in His amazing grace. When we see the nature of God, His love, his kindness, His compassion, and His care, we will let go of all our fears. We have been blessed with every blessing through the finished work of Jesus. Faith is looking to Jesus and simply receiving what He has already provided by His grace. "Reality." WatchVIDEO here. Listen to AUDIO here. Session 3 - Reality - how does rest give us God’s heavenly perspective? Audio is available here. Video is available here. (complete scripture lists included in links to video and audio) Description of this teaching: When we know we are righteous before God because of Jesus, we can rest in Him and see God’s heavenly reality. As Jesus is so are we in this world. We can do all things through Christ who strengthens us. The Holy Spirit opens the eyes of our understanding and fills us with joy unspeakable as we receive the things freely given to us by God. On October 30, 2016, we were blessed to have Bill Snell, president of Missionary Ventures in Orlando, FL, and good friend to Life Springs Church, join us for our Sunday gathering. In the first fifteen minutes of his message, Bill updated us on his latest trip to Africa with Missionary Ventures. Then he shared a fresh and very timely message for believers whose eyes have been opened to grace. What’s next for us? The most essential step for us is to comprehend the kingdom of God and how it operates. If we don’t, even the grace message is going to submit itself to an environment where we are inactive in our faith. We are called as ambassadors under Christ to function as kingdom citizens - sons and daughters of the Most High with a huge calling to join Him in shouting to the world His pleasure in His Beloved Son and what He has accomplished and to demonstrate the power of the Gospel. Biblical leadership is about ungirding others for the express purpose of unveiling Jesus to them. It’s about sharing His beauty, His excellence, His kindness, His love, His grace, His provision, His healing, His deliverance, and His words of life. It's about beholding Him in His amazing grace, being transformed by His love, and being compelled by that love to share His grace with others. Tricia Gunn and her husband Mark founded Life Springs Church in 2012 with Bill and Von Jenkins. Tricia is also the founder of Parresia Ministries and the author of the book, Unveiling Jesus. Tricia and Mark have been married for 30 years, and have 5 wonderful children: Martha Ellen, Ann Claire, Frances, Elizabeth, and Neil. Check out all of her messages on video and audio through her website: Parresia. Rob and Glenda Rufus returned for our 2nd annual Birmingham Grace Conference. Life Springs Church partnered again with Life of Faith Church here in Birmingham to host this conference. Rob Rufus gave five incredible messages about God's grace and glory, who we are in Christ, the proving the will of God in our lives, and how important it is to believe right. Rob Rufus and his wife Glenda have been in ministry since 1977, planting amazing churches all over the world. Rob regularly speaks internationally at conferences, churches and church networks and bringing profound revelation of the Gospel of Grace. His desire is to see people, churches, and nations liberated with the transforming power of God’s Grace. Rob has appeared numerous times on Christian and Secular television and is the author of a host of publications. Rob and Glenda currently live in Hong Kong where they are senior pastors of City Church International. They have three grown children and eight grandchildren. From April to August of 2016, we viewed Clark Whitten's 13-part series on Galatians entitled, "The Epistle of Grace." Click here to view the video messages in this series. Clark Whitten and his wife, Martha, have dedicated their lives to planting, growing, and raising Christ-centered churches. After pastoring three large churches, in October 2005, Clark planted Grace Church, in Longwood, Florida. The church is a reflection of both Clark and Martha’s heart and life-time message… which is God’s Grace. Clark is the author of Pure Grace: The Life Changing Power of Uncontaminated Grace and has served to be a revolutionary book that is changing the current religious landscape in a profound way. What a pleasure to welcome back Bill Snell from Orlando! Bill brought a message of kingdom reality: we are not defenseless when we hear the roar of threat or terror that comes from the enemy. We possess all the weaponry necessary to stand our ground in faith and confidence. We don’t have to be taken in fear or give up and cower. Jesus lives out the victory of the cross through us, and we can do all things through Christ! Believers who know their identity in Christ are throw who run to the roar and not away. We don’t have to be intimidated. We are seated with Christ in heavenly places. Everything that is under the feet of Christ is under our feet! If the “work is finished,” what does God require of me? What is “work” under grace? How do I pray if the work is finished? Describe prayer under grace. What is spiritual warfare under grace? How can God see me as righteous when I still sin? Is there too much grace? How do you handle a loved one that is in “rebellion” and not “acting” right or is pleasant to be around? Give them grace? Continue to hang around them? Or set boundaries? Is setting boundaries "grace"? If Jesus died for all, are all saved? What about confession of sins for the believer? Do I need to ask God to forgive me each time I sin? If I’m not supposed to be sin conscious, how will I ever change and become mature? Sometimes when I talk about the grace of God some people put up an immediate defense and claim that I am speaking of a prosperity gospel. How do you address that? What about all the Word of Faith preachers who we have listen to for so long? Do we just discount them now? What about sovereignty? Is God Sovereign? The Bible tells me that I will experience suffering. Some people have gone so far as to say that I am not really a Christian if I do not experience suffering on earth. How do I reconcile this with the gospel of grace? Can we put ourselves under a curse when we sin? What about the generational curse? Are we eternally redeemed, or can I lose my salvation? What about the unpardonable sin? Doesn't saying you only want to hear pure grace teaching make you a little bit exclusive? This message by Jeremiah Johnson was a word from the Lord for our church about “parresia” (boldness) in the face of persecution and our response to those who reject the message of grace. Be encouraged in your faith and in your conviction concerning the outrageous grace of Jesus Christ as you receive this timely word! Jeremiah Johnson is the pastor Grace Point Church in Georgetown, KY. He is the author of the book Staying Connected. What a blessing to have Connie Witter from Oklahoma with us at Life Springs Church! Connie is the founder of Because of Jesus. She is a wonderful Bible teacher and conference speaker. Her message, "As He Is So Are We In This World" was life-transforming! Enjoy!! The Unveiling Jesus Women’s Encounter was held in Birmingham on October 15-17, 2015. The theme of the conference was "Beholding Jesus in His Amazing Grace.” Seeing Jesus is the answer for every issue of life. Jesus is seated in heavenly places having finished the work for our salvation, redemption, healing, and peace. And guess what?! Every believer is also seated in Him in heavenly places. When we look to Jesus, the Author and Perfecter of faith, we are transformed! Through understanding His unconditional love for us, the righteousness we have through Him, the truth that there is no condemnation for us, and the resurrection life we have as NEW CREATIONS, we will walk victoriously in life! Dr. Joe Langley is the author of Unfiltered Grace and is the founding pastor of Park Meadows Church in Waxahachie, Texas. We were thrilled to have Joe come and share a series of messages on the amazing GRACE of Jesus! The series is excellent! Our wonderful friend Bill Snell from Grace Church in Orlando, FL, delivered this encouraging message entitled, "The Upside of Down." How does God determine success? Why do we have trouble? In the midst of uncertainty, you can be certain of one thing: God loves you so much. He is faithful, and He has accepted you and will never condemn you. Set your steps to the rhythm of praise because praise is the language of faith. We look beyond trouble to God’s promises and declare God’s promises and faithfulness. We can rest in containment no matter what this world throws at us. We trust God and know that God is for us and not against us! The upside of down is that weakness isn’t nearly as dark as we have portrayed it to be. The world hates weakness, but the key to strength in the kingdom of God is weakness. Paul said, “When I am weak, I am strong.” We exalt in our weakness because God will step in and do what only He can do. July 25-26, 2015, Life Springs Church partnered with Life of Faith Church in Birmingham to host the Birmingham Grace Conference with Rob and Glenda Rufus. Rob and Glenda are dear friends of Life Springs Church and we were honored to have them travel to our city and bless us with a phenomenal conference! Enjoy! Rob Rufus and his wife Glenda have been in ministry since 1977, planting amazing churches all over the world. Rob regularly speaks internationally at conferences, churches and church networks and bringing profound revelation of the Gospel of Grace. His desire is to see people, churches, and nations liberated with the transforming power of God’s Grace. Rob has appeared numerous times on Christian and secular television and is the author of a host of publications, including Invading the Impossible and The Missing Links To Great Leadership. Rob and Glenda currently live in Hong Kong where they are the senior pastors of City Church International and founders of InResonance360, a Global Grace Alliance. They have three grown children and eight grandchildren. Tricia and her husband Mark founded Life Springs Church in 2012 with Bill and Von Jenkins. Tricia is also the founder of Parresia Ministries and the author of the book, Unveiling Jesus. Tricia and Mark have been married for 31 years, and have 5 wonderful children: Martha Ellen, Ann Claire, Frances, Elizabeth, and Neil. 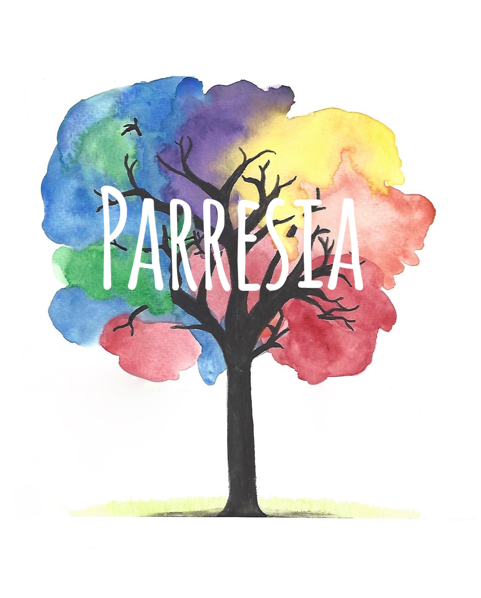 Check out all of her messages on video and audio through her website: Parresia. Hearing the Voice of the Holy Spirit. Do you believe that you can hear from the Holy Spirit? God wants us to come boldly before His throne and be confident in our ability to hear from Him. The Holy Spirit lives inside of us, and we have a personal, direct relationship with God. The Bible says that All believers will intimately know Him from the least to the greatest in the New Covenant by the Holy Spirit who dwells in us! Healing. Surely Jesus bore our sicknesses and carried our pains. By His stripes we were healed!